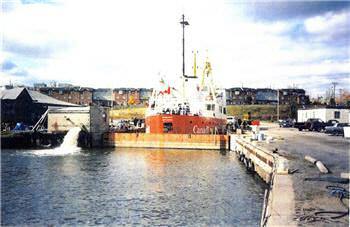 See also the Kingston Marina, which surrounds the Davis Drydock. 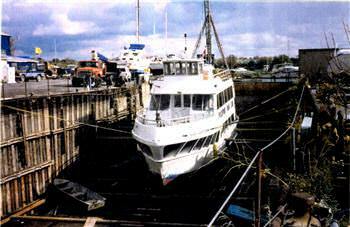 The Davis Drydock is owned and operated by MetalCraft Marine, one of Canada's premier aluminum boat builders up to 80 feet in length. 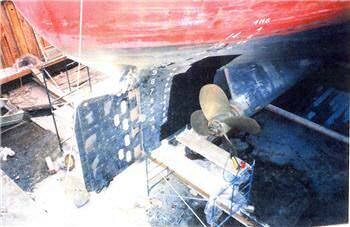 MetalCraft Marine can repair and refit aluminum and steel vessels up to 200 feet. 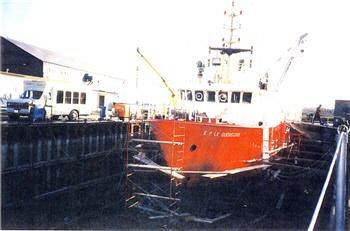 Ship owners may simply rent the drydock using MetalCraft employees only for docking, floating and fleeting, or may engage the services of MetalCraft personnel for any or all ship repair work. 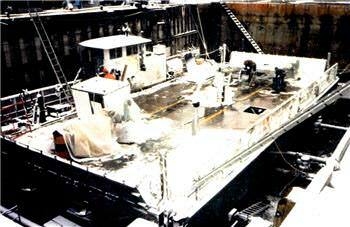 MetalCraft Marine is certified by the Canadian Welding Bureau. 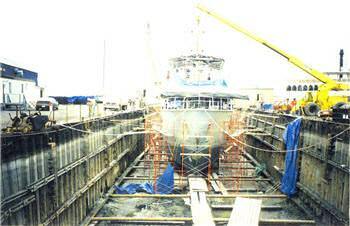 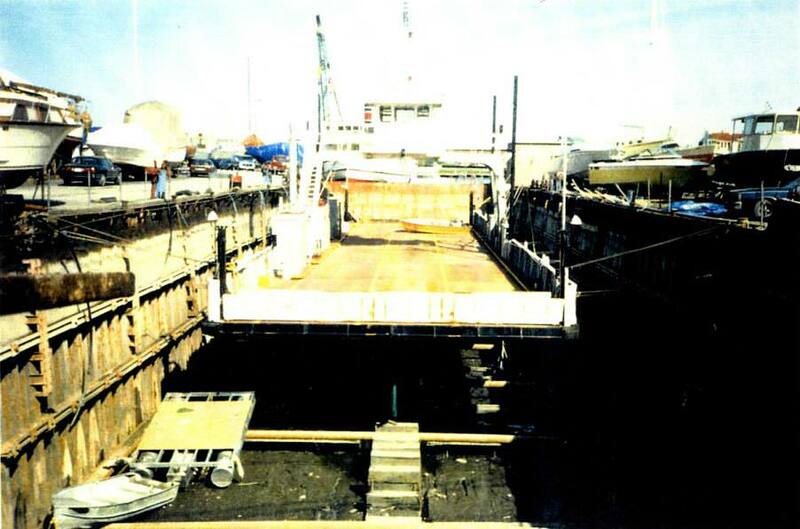 The drydock is constructed of sheet steel with a concrete sill and timbered bottom. 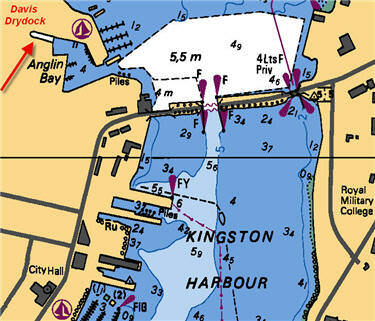 all within easy walking distance. 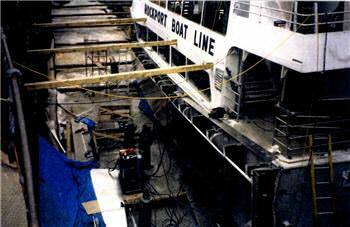 65' Commercial tour boat beam extension and major refit.